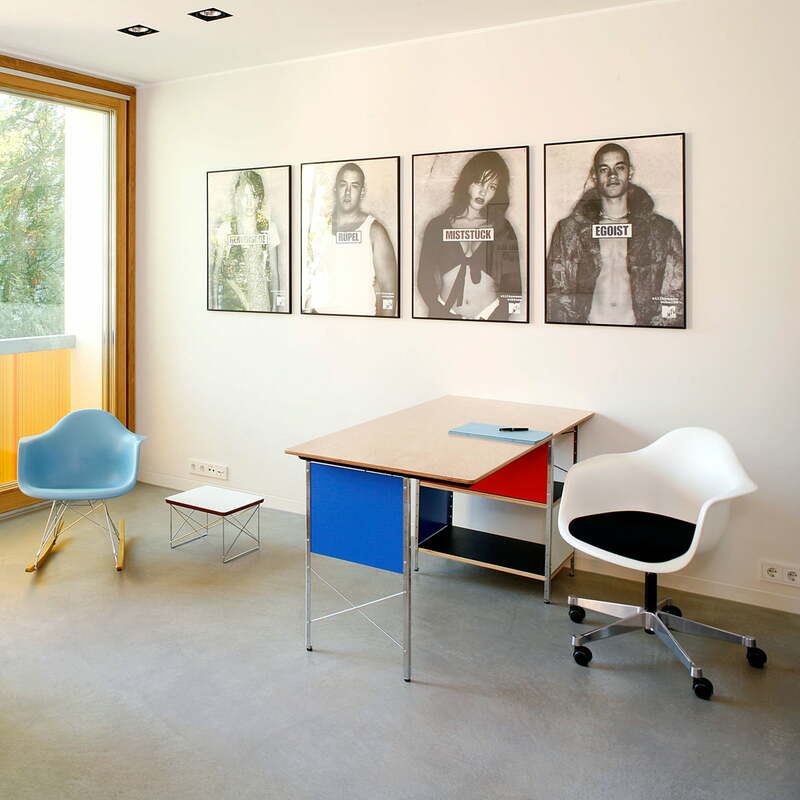 The Eames desk unit (EDU) by Vitra is a true design classic of the post-war period. 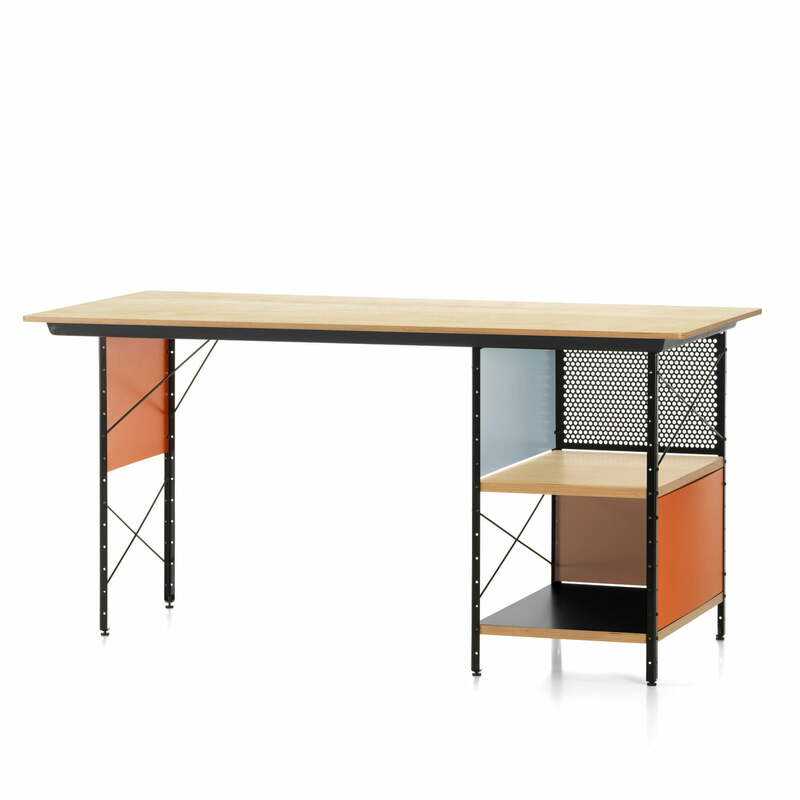 In 1949, the designers Charles and Ray Eames developed a new system of freestanding, multifunctional desks that were constructed for the industrial series production. 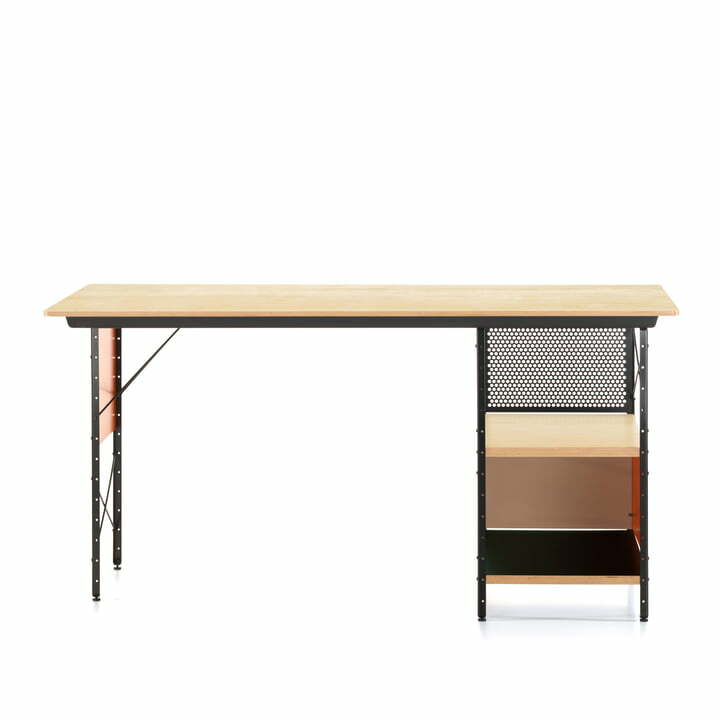 In collaboration with the Eames Office and Dutch designer Hella Jongerius a new edition of the desks came to life that, thanks to the carefully defined new colour scheme has a fresh and contemporary effect, but keeps the charm of the 1940s and 1950s. The colour matching panels do not only serve the decorative aspect, but also shield and shade the two storage compartments. 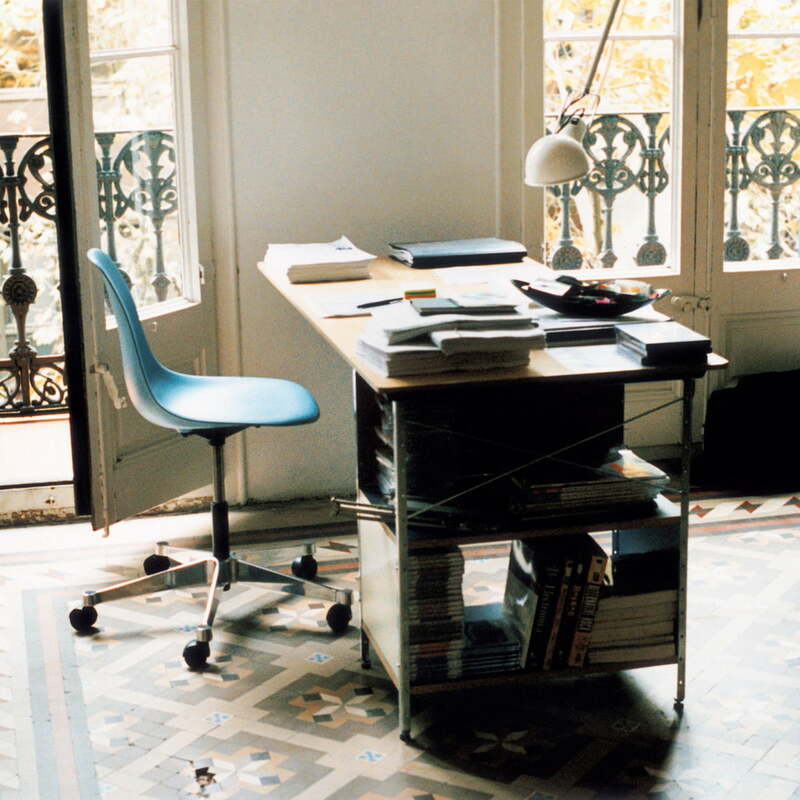 The frame is individually adjustable to compensate for any unevenness of the floor.